World Masters Games 2017 are working closely with Orienteering New Zealand, our sport delivery partner, and as the Games draw closer we have a number of updates to provide you. Firstly, email updates will arrive from a new email address, orienteering@wmg2017.co.nz. Going forward, this will be your main contact for all orienteering-related enquiries. Please note that all general enquiries should still be directed to contactus@wmg2017.co.nz. Full entry lists showing the names of those competing in the Orienteering competition at World Masters Games 2017 is available here. Please be aware that there are limited spaces available in the Orienteering competition and it will likely sell out before registrations close on 3 March 2017. If you know of people that have still not entered, let them know to avoid disappointment. World Masters Games and our Sports Partner, Orienteering New Zealand would like to update you of a change to the venues for the Sprint Distance Orienteering events. The Sprint Model and Sprint Qualification venues have been modified. Wynyard Quarter is no longer being used for the Sprint Qualification. 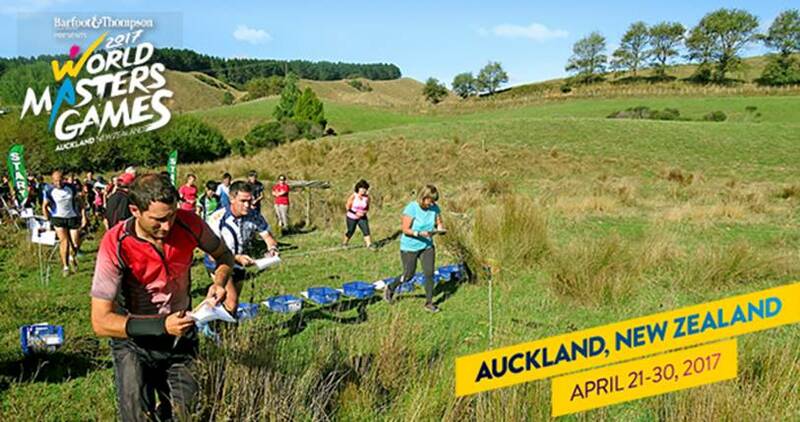 The Sprint Qualification is now taking place at the University of Auckland Epsom Campus (the previous model venue) and the Sprint Model event is now being held at Massey University Albany Campus. Please see the table below showing the location of each venue. All venues can be easily accessed by public transport. 22nd April 2017 Sprint Distance Model Massey University Albany Campus 473 Albany Highway, Albany, Auckland 0632. 18km North of Auckland Central. 23rd April 2017 Sprint Distance Qualification University Of Auckland Epsom Campus. 24th April 2017 Sprint Distance Final University Of Auckland City Campus University of Auckland, 1010. There has been no change to the Long Distance Orienteering events, these events will be held at Woodhill Forest. The new embargo details due to the sprint qualification venue change is here. All Silver and Gold package holders receive a transport ‘HOP’ card enabling free access to Auckland’s bus and train public transport network. Bronze package holders are responsible for making their own way to each Games venue. These venues are well serviced by existing public transport and no event specific transport will be provided by the Organizers. For all of these events, the Organizers recommend the use of public transport and walking. Details of the best bus and train routes to use to access the Sprint events will be detailed in Bulletin 2, due for publication in March 2017. WMG2017 will operate shuttle buses to and from Swanson Rail Station and Woodhill Forest for the Long Model, Qualification’s and Final events for all Gold and Silver registered athletes and registered supporters. This service is not available to Bronze registrants. The timetable for these buses will be published on the World Master Games 2017 website as part of Bulletin 2. It is the athlete’s responsibility to get to the Swanson Rail Station. Gold and Silver registered athletes and supporters can use their WMG2017 issued public transport ‘HOP’ Card for free travel on Auckland Transport’s trains and buses. See here to plan your journey. It is not possible to park outside Woodhill Forest and walk or cycle into the Event Arena. People in this group must pre-book parking and forestry access for private vehicles that gets them to within 1km to 2.5km of the Event Arenas. Pre-booking is on a ‘per vehicle’ basis with no restriction on the number of people in each vehicle, this is to encourage carpooling. The parking voucher provides both access through the forestry security gates and access to the parking areas. Last date for purchase of pre-booked parking vouchers is Friday 31 March 2017. Access to the WMG2017 Long Model and the WMG2017 Long Qualification events will be via Restall Road and signposts will direct drivers to the event parking. For the WMG2017 Long final, parking will be on farm land on Wilson Road, with access into Woodhill Forest by foot. $NZD7 per event for cars, 4WDs and Campervans. $NZD35 per event for Tour buses seating 30 to 35 passengers. $NZD60 per event for Tour buses seating 50 to 60 passengers. During the entry process you will be asked the registration number of your vehicle. If you will be in a rental vehicle, please enter “RENTAL” in that box. If you are intending to bring children under 5 years old into the forest and will be making use of the shared crèche facilities, please indicate this when purchasing your Parking Vouchers and you will be issued a parking voucher that provides access to parking close to the crèche facilities. Parking vouchers will need to be shown to Security at the Woodhill Forest gate to gain entry into the forest. Please click here to view Orienteering Parking Vouchers Frequently Asked Questions. If you chose to purchase a Southern Hemisphere compasses during the registration process. An online facility is now available to order and pay for these. They will be available for collection at the Information Desk at the events, for those doing the Oceania Championships the week before – your compasses can be collected at that registration. You can order your compass here. You can hire a Sport Ident Card for the duration of WMG2017 competition for $15. You can order your Sport Ident Card here. Please follow this link to the Orienteering Sports Information Guide (Bulletin One) for full details on the WMG2017 Orienteering event. Further information including confirmation of schedule will be released after registrations officially close on 3 March 2017. For any further information click here to visit the Orienteering sport specific page on our website.